Fritz Balthaus's work is characterized by an ongoing engagement with the ideal and formal parameters of artistic production as well as their reception. His early work Junggesellenmakkaroni (1987), for example, parodies clichéd images and value creation mechanisms by alluding to the legend of the lonely, malnourished artist as well as to an art-historical exaggeration of Marcel Duchamp's works, in which the bachelor repeatedly appears as a philosophical figure. 30 years later, his Light-Space-Modulator (2017) refers to the iconic kinetic objects of László Moholy-Nagy or asks when the demonstration of means of "light and movement design" is considered art and when not. 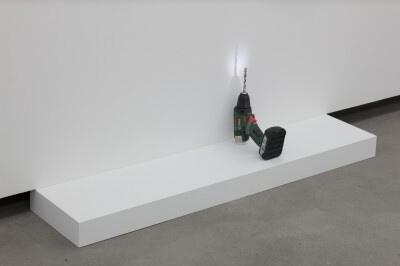 Balthaus repeatedly addresses the auratic charging of objects shown here in the exhibition context as well as the practical influences of artistic creation by working with everyday objects and found materials. 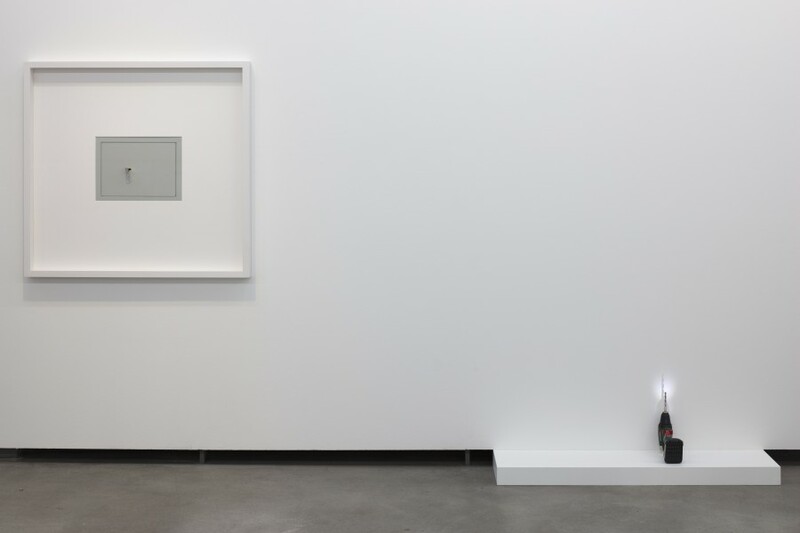 Examples of this include the works Selbstportrait (10996) and Reclining Figure (1992/2018), in which the focus is placed on the picture hook of a hanging system - once as part of a frame on the wall that refers to itself, once enlarged many times as a sculpture whose aesthetics, however, do not spring from the "artist's hand".